On 4th March, George Osborne suffered a bruising defeat in negotiations in the Council of the EU about bankers’ bonuses. 26 EU Member States wanted limits on bonuses, Britain did not, and as the dossier was voted under Qualified Majority Voting (QMV), Britain was marginalised, and lost. OK, the financial sector is of special importance to the UK, so perhaps that was a special case we thought at the time. Yet in the last 24 hours a further case of UK choosing to marginalise itself has come to light. This time Britain is trying to seek an opt out from the General Data Protection Regulation currently being negotiated, and specifically from Article 17 of the Regulation. The Guardian sums up the case here. Article 17 is Viviane Reding’s favourite ‘right to be forgotten’, a grandiose term for granting a power to users to be able to delete all data they have uploaded to social networks. The idea is a noble one, but trying to make it work could well be a nightmare. But that’s precisely the point of EU negotiations – the negotiations are about making the legislation practical and workable. That is why Grayling’s position looks so strange: he seems to be deliberately marginalising the UK. The Regulation (PDF of the Commission’s draft here) has legal basis Article 16(2) and Article 114(1) of TFEU (Treaty PDF here), meaning that Qualified Majority Voting will apply here too. The UK could simply be outvoted. 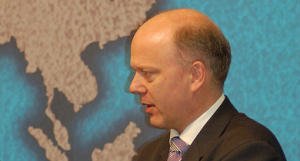 As James Wilby pointed out on Twitter, Grayling has only been in post since September – the Ministry of Justice position was hence in large part developed by his predecessor Ken Clarke. But even so I simply cannot understand why Grayling thinks this tactic could possibly work. Trying to strong-arm the EU does not work when QMV is the voting mechanism, and the sort of opt-out Grayling is seeking is very seldom granted and would set a bad precedent. Further, data protection is a Single Market issue, and isn’t the UK still supposed to support the EU’s Single Market? A functioning Single Market means everyone respects the same rules of that market. Perhaps all of this should be seen in the context of lessening of UK influence in Brussels, a process that started to be documented in this excellent FT piece last month. Put up a straw man, get knocked down or outvoted, UK public opinion takes a further hit, and the government moves closer to UKIP… or is that too cynical? Britain national interest in the EU, or citizens’ interests in the EU? 2008 in Britain: a land of dour unity and economic uncertainty? Sorry Jon I do not understand the refernce to Mark Zuckerberg ?? I was not referring to the particular examples you chose but thinking generally, that if a country does not agree with a centralisation move by the EU it is not reasonable to argue that country wants to be treated differently than the others. Britain is not asking for special treatment it is saying it does not condone the change. Why this government might be pretneding to do so at this time you have probably got right, they are trying to sound tough on the EU in order to stop desertions to UKIP without actually doing any real damage, other than to upset evryone. Sorry Ken, but it is *already* Europeanised, but outdated – the current data protection law at EU level is from the late 1990s, a time when Mark Zuckerberg was still in high school. So that argument does not work either. I would have thought Jon that Britain is saying it does not agree with the proposals, it is the EU which is introducing new regulations it is therefore one sided to say Britain wants to be treated differently to others, we don’t, we want to retain the authority in this country and not have it Europeanised. This sort of thing makes a mockery of the argument that we need to remain in the EU in order to have a voice, we are pilloried for being out of step even when we exercise our right to vote against something with which we do not agree. And the difference between that and the so called fax democracy of Norway is what exactly. @Ken – I have no problem with voting against things. That’s fine, and right, and every country should do it. But the way this is being done is *not* right. Britain is basically throwing up its hands, saying it wants to be a special case. It will hence get outvoted AND not get what it wants. If the positions Grayling is raising are so wonderful, why are no other Member States seeing the same point? Or, if the UK is alone, what could the UK do to make sure the law comes a bit closer to the UK’s demands? I can see your point in the last paragraph, however I do take issue with your lazy assumption that Britain should not vote against something if it does not agree with the policy for fear of marginalising itself, we might as well dispense the voting bit altogether.